Gallbladder Stone to Stage 4 Liver Cancer: How is that possible? Would you like this to happen to your mother? This is a sad story, narrated by John (not real name) about his mother’s problem before her death. CL was a 63-year-old lady. About six/seven months ago, she had abdominal pain and felt bloated. She went to a private hospital and the doctor did an MRI. She was told that it was due to stone in her gallbladder and had to be removed. CL underwent surgery immediately. This procedure cost RM 7,000. Unfortunately, her problems did not go away. John started to consult some doctor friends who was told him that it was normal. After the surgery, the pains and bloating would not go away immediately. John also asked the doctor who did the surgery why the problems were not resolved. He answered, “There are so many other patients who had the same problems and they did not complain!” The doctor then prescribed medication of gastritis. In October 2016, CL became very weak and started to vomit and went back to the same hospital again. A CT scan was done and the son was told that shadows in her liver. CL was referred to an oncologist in the same hospital and was told that it could be Stage 4 liver cancer. Chris: When they removed the gallbladder, did they not check the liver as well? The oncologist told John that this was a stage 4 cancer and CL had a maximum of 6 months. To confirm, a biopsy was done. While in the hospital, CL continued to vomit and was put on drip. When she got better, she was discharged; went home and started to vomit again. CL became dizzy and John brought his mother back to the hospital again. The doctor did another MRI. This time he targeted the brain. There was nothing in her brain! John was told that the cancer was very serious and CL had only 1 or 2 months to live. The oncologist proposed that CL try the oral drug, TS-One. Chris: Did you take the TS-One? C: Did you ask if TS-One is going to cure your mother? C: Did you ask how much this is going to cost you? J: No, I did not ask but from the internet I understand that it is expensive. C: People would tell you that at this point when the patient is at the last stage and is dying, we should not think about money. Money is not important. Do what is necessary. But I think money is important. You do not want to do things just for the sake of doing things — futile efforts with no chance of any positive results. J: Money is important! But I understand that by giving her the drug, it is going to cause her more problems — the side effects would be severe. There is no quality of life. (The above is just a gist of our conversation. For more detail, listen to the video carefully. CL died one week after this conversation). It is really hard to swallow the idea that when they zoom in on the gallbladder, they could not see or know what is going on in the rest of the surrounding organs! Let’s try to understand a bit of basic anatomy. 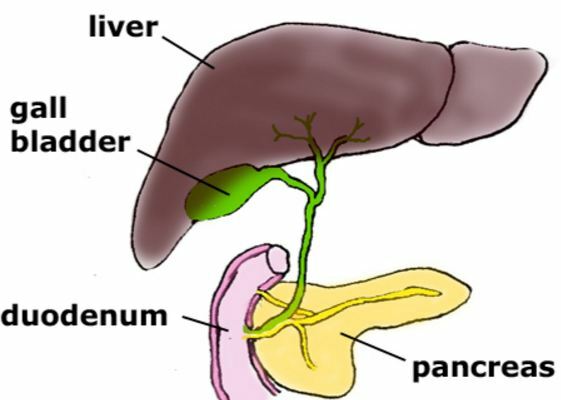 The diagram below shows the gallbladder in relation to the liver and pancreas. The MRI and CT images below show the gallbladder in relation to the liver and pancreas! an ill defined 3.8 x3.3 x 2.5 cm mass in the left lobe of her liver. an ill defined 5.9 x 5.8 x 4.9 cm mass in between the left lobe of liver and pancreas. ill defined enhancing areas in segments 2,4,5 and 8 of her liver. ill defined 2.3 x 2.1 cm enhancing areas in the anterior part of the body of the pancreas. It is not for me to suggest that LC’s problem and subsequent death could be a result of incompetence, carelessness, wrong diagnosis or wrong treatment. It is up to you, those who know how to read, to figure that out. But for one, none of us would want such thing to happen to our own mother. Money gone, suffered and died! How can we avoid such tragedy? My answer is: Be an empowered patient. Before you undergo any operation, seek a second or third opinion first! Don’t just immediately jump into any hole that you are asked to. There are three more disturbing events which I think we can learn from this case. John was told that his mother had Stage 4 cancer, very serious and at most could live no more than 6 months (later reduced to 1 or 2 months). These were masses in her liver and pancreas. She needed a biopsy to confirm this. But, did she really need to do a biopsy? What benefit can a biopsy bring to LC? With the above blood test results, ask again: do we really need a biopsy to be performed on a dying person? LC went home after the biopsy. She started to vomit and later felt dizzy. MRI was ordered. Again, you would want to ask, is this necessary? What benefit can MRI of the brain bring to LC? Yes, there may be brain tumour. But so what if there was a brain tumour? What can we do about it? After the biopsy result confirmed metastasis to the liver and pancreas, the oncologist suggested LC try TS-One! Wait a minute doctor, but what is TS-one actually used for? Is this for treating liver cancer and/or pancreatic cancer? 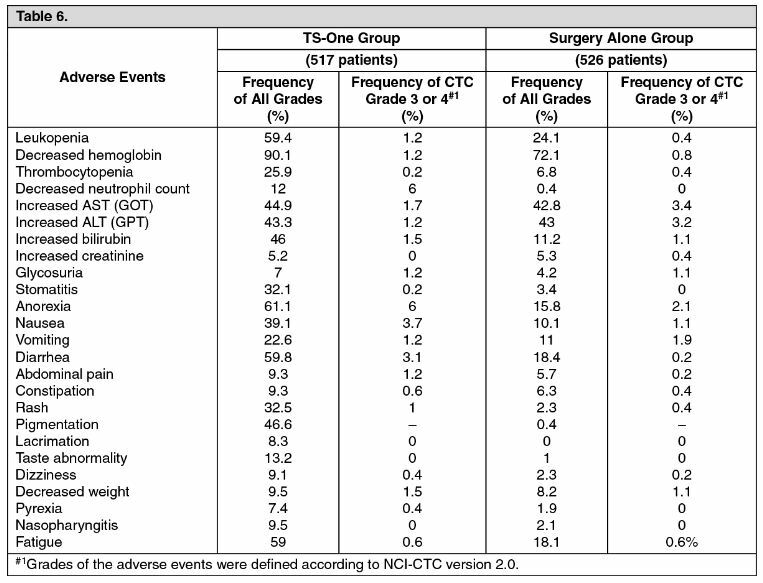 From the internet, we learn that TS-One Capsule is used for the treatment, control and prevention of stomach cancer! Was LC having stomach cancer? Beside the money — having to pay for the expensive drug, you also need to know that you may be led to buy misery in the form of the following side effects. When I first read what Dr. Anton Chekhov wrote, I thought it was meant to be just a joke since he was also a dramatist besides being a doctor! Now, with the above story do you see what he wrote may not be a joke? Do you want this to happen to your mother? The point we want to ask further is, can medical error happen? Yes, it can … more often than we care to admit. Read what Dr. Atul Gawanda and Dr. Paul Ruggieri wrote in their books. One patient sent me this note …. My son died after chemotherapy. So no chemo for me! LS is a 64-year-old Indonesia lady from Surabaya. For the past 5 years she had been having problems with her stomach. The doctors said it was gastritis. She was prescribed medications. The problem persisted. In July 2016, she came to Penang for further consultation. A blood test showed her GGT and AST were at 81 and 37 (high) respectively. And her CEA 125 was at 46.0 (high). 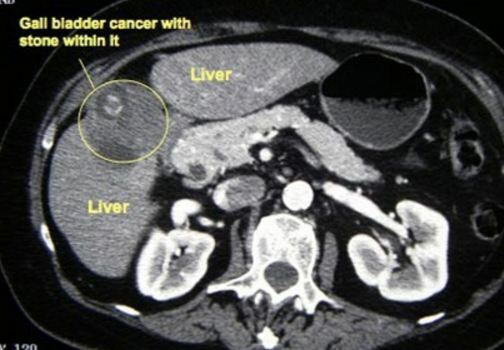 A CT scan showed features compatible with gallbladder carcinoma. The cancer had already spread to her liver, portal and para-aortic and mesentric nodes. There are multiple masses in her liver. The largest being 67 x 75 x 60 mm in size. LS went to another hospital in Penang. Another CT scan was done. The results were the same. Her gallbladder was distended with a lobulated enhancing soft tissue lesion measuring 77 x 34 x 57 mm. The doctors suggested a biopsy to be followed by chemotherapy. She refused. LS then went to Singapore for further opinion. The doctor gave LS the same advice! Chris: You were asked to do chemo and you refused. Why? Patient: My son had lung cancer. He was only 39 years old. He underwent 5 or 6 cycles of chemo. And he died. C: Is this the reason why you don’t want to go for chemotherapy? C: Did you ever ask the doctor, if chemo can cure you cancer? Daughter: No, he cannot guarantee. C: Then, why did he ask you to do chemo? D: Just to prolong life. C: But you know — chemo prolongs life or shortens life? In the case of your son, chemo killed him. The doctor did not tell you that even if you undergo chemotherapy, the treatment would not cure you? I am sorry but I have to be honest with you. I don’t want to mislead you. There is no cure for your cancer. Even if you take my herbs, these will not cure you. But if you take these herbs for a few weeks and they help you, then continue taking them. But if they do not make you feel better, then you can stop taking my herbs. I cannot cure you. Cannot cure does not mean you die soon. I don’t mean that. There is this lady from Surabaya. She had a tumour in her chest. The doctor said without chemo she would die within 6 months. If she goes for chemo, she would live for another 2 years. No cure. She refused chemotherapy and came to seek our help. It is more than 4 years now and she is still okay. The irony is her sister is a medical doctor and was angry at her for coming to see us. Lately, she brought her sister to our centre! Her sister brought along another medical doctor who needed our help! But you need to also accept that eventually we all have to die. I too have to die, you have to die and she (daughter) has to die. So Ibu, take life as it comes and don’t worry too much. That is how we all should look at life.